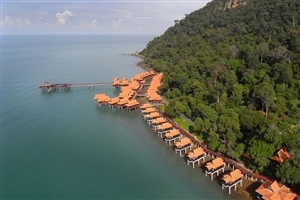 Fringed by the beautiful ivory sands of Burau Bay on Langkawi’s glittering coastline, Berjaya Langkawi Resort is an enticing tropical holiday resort. 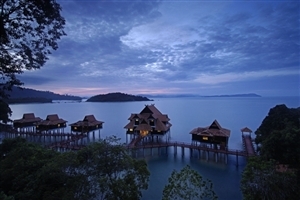 Combining traditional Malay architecture with modern amenities, Berjaya Langkawi Resort is distinguished by its sophisticated accommodation, including exquisite luxury water villas set on stilts over the shimmering Andaman Sea. 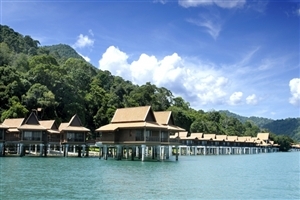 Facilities at Berjaya Langkawi Resort include a host of watersport activities, a swimming pools and seven restaurants/bars. 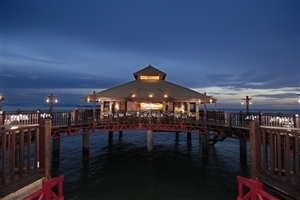 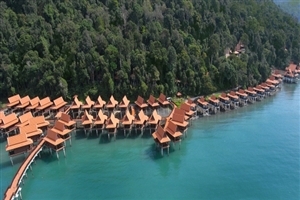 Distinguished by its luxury water villas, chalets perched on stilts over the Andaman Sea, Berjaya Langkawi Resort offers 500 rooms and suites in total, each furnished to high standards of quality. 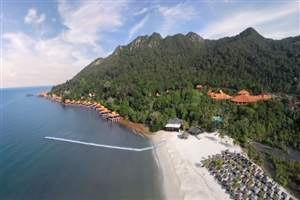 A wealth of facilities and activities are waiting to be experienced, including exhilarating watersports and a refreshing swimming pool, while seven bars and restaurants will tantalise and tempt you. 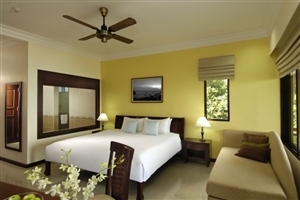 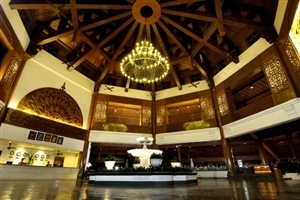 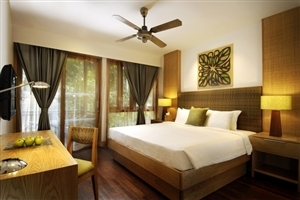 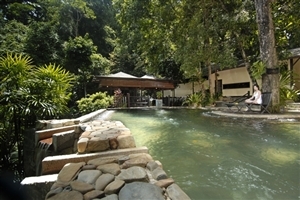 Berjaya Langkawi Resort is 15 minutes from Langkawi International Airport. 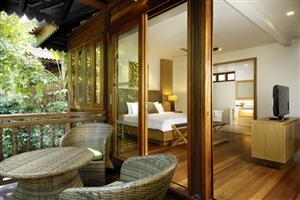 The Rainforest Chalet at Berjaya Langkawi Resort is located within the dense rainforest and is distinguished by its blend of traditional Malay architecture and contemporary touches. 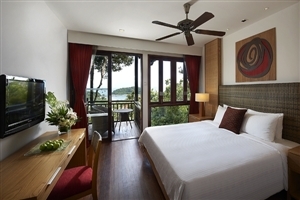 The Seaview Chalet at Berjaya Langkawi Resort offers traditional Malay accommodation and opens out onto a private balcony that overlooks the Andaman Sea. 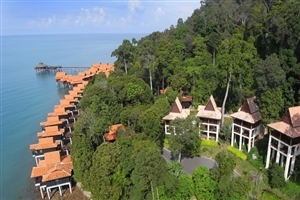 The Premier Chalet at Berjaya Langkawi Resort is located at the edge of the rainforest and overlooks the Andaman Sea with spectacular views of Burau Bay. 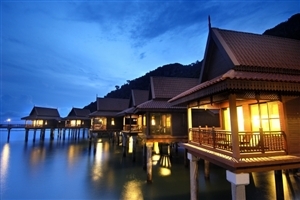 The Premier Chalet on Water is positioned on stilts above the Andaman Sea for unbroken views across the ocean and direct access to the waters. 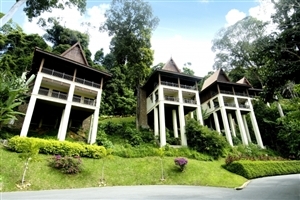 The Family Chalet at Berjaya Langkawi Resort is formed by two interconnecting chalets and features two bedrooms, one containing a king-size bed and another with twin beds. 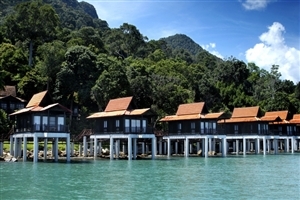 The Junior Chalet on Water at Berjaya Langkawi Resort is located on stilts above the Andaman Sea and features a private balcony overlooking the waters. 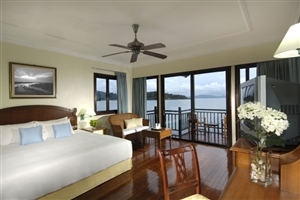 The Executive Suite on Water at Berjaya Langkawi Resort is positioned above the Andaman Sea and features a dining area, living hall and cold kitchen, plus a separate bedroom and bathroom. 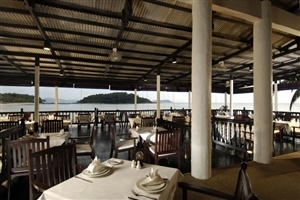 Beach Restaurant – Look out over Berjaya Langkawi’s private beach from oceanfront restaurant, whilst enjoying fare from Japan, the Mediterranean and India. 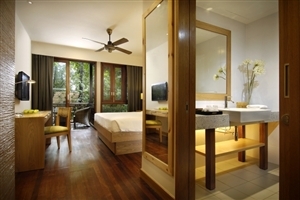 Have a fun and relaxing break at Berjaya Langkawi Resort, where we offer the finest in facilities, including spa treatments and recreational activities. 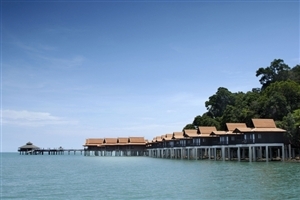 We also provide a shuttle bus service so you can go and explore the vibrant Langkawi Island for yourself.